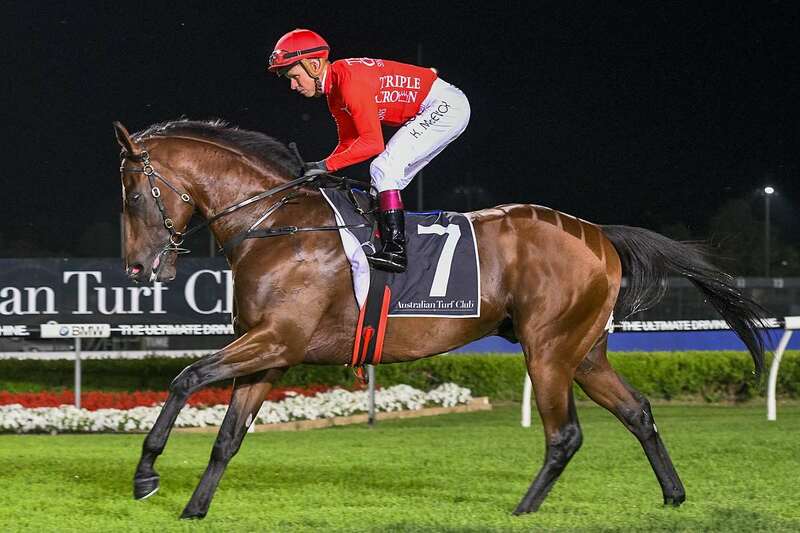 TRIPLE CROWN SYNDICATIONS will be represented at Flemington on Melbourne Cup day by Stakes winner Brave Song, as he takes on the Listed MSS Security Stakes down the straight over 1200m. A winner on his last start at Caulfield as he landed the Listed Village Stakes, Brave Song arrives in fine form as he looks to cap a wonderful preparation with victory on the biggest stage of all. In five starts this preparation Brave Song has struck for two wins, including first up down the Flemington straight, and two further placed efforts at Group 3 and Listed company, cementing his position as the leading son of Widden Stud’s Your Song with earnings of $340,720. Drawn barrier 14 for Tuesday’s assignment, in form jockey James McDonald stays in the saddle, with Peter Snowden expecting Brave Song to be competitive once more. “He’s got a great chance today,” said Snowden. “He’s had a great preparation. He’s got experience down the straight which is going to help.